Some experts are questioning a recent study that said cases of metastatic prostate cancer have risen sharply. The Northwestern University study said cases of metastatic prostate cancer rose 72 percent from 2004 to 2013. It suggested the increase could be the result of more “aggressive” cancers, as well as laxer screening in response to new guidelines. The study led to a rash of news coverage but other experts, including the American Cancer Society, suggested the study was flawed because it relied on raw numbers instead of the rate of prostate cancer diagnoses per a specific number of people. An increase in metastatic prostate cancer cases could be explained by a variety of things, such as the growth or aging of the population, they said. “This study makes a dramatic claim about an issue all of us have been watching eagerly: namely, whether less PSA screening might lead to more advanced cancers,” said Otis W. Brawley, M.D., chief medical officer of the American Cancer Society. “But the current analysis is far from adequate to answer that question sufficiently,” Dr. Brawley said in a statement. Northwestern researchers acknowledged that not showing the rates of diagnoses per 1,000 or 100,000 people was a “limitation” of their study. Screening for prostate-specific antigens (PSA) is a test that measures proteins that may indicate the presence of prostate cancer. Health care providers say men should discuss prostate cancer screening with their health care providers, especially if they have family histories of prostate cancer. At 45 for men at a high risk of prostate cancer. This group includes African-American men and men with a father, brother or son who was diagnosed younger than age 65. Men who fall into any of these groups should discuss the benefits, risks and uncertainties of prostate screens with their health care provider. 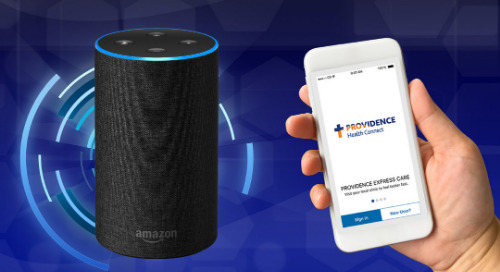 You can find a Providence provider in the To Your Health directory. Learn about how you can maintain a healthy prostate.